Next to the ticket price, this is probably the scariest thing about "My Soul To Take". Not all things get better with age. In fact, most things don’t. With the exceptions of true love and a small handful of wines, things get worse, decay and die. It’s a sad fact of life. 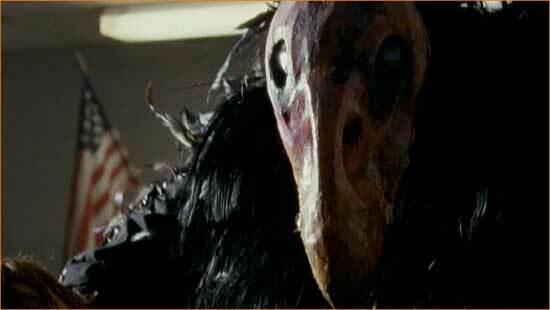 “My Soul To Take”, the latest from director Wes Craven, is another. 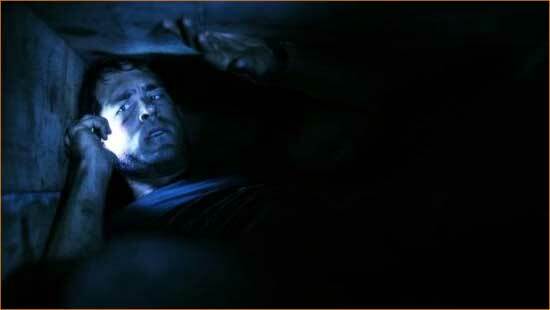 Ryan Reynolds is stuck like Chuck in "Buried". I don’t do well with enclosed places. Not sugar and spice, Jennifer (Sarah Butler) is more piss and vinegar in "I Spit On Your Grave". While I’m inclined to believe in the inherent goodness of man, I also tend to believe that in each of us is a nugget of darkness, a seed of the foulest evil that simply needs circumstance to water it. Whether it is the extraordinary circumstance of war or simply the addition of anonymity and its accompanying impunity, it sits waiting, purring, like a black cat in front of our heart’s hearth. Abby (Chloe Moretz) and Owen (Kodi Smit-McPhee) bond bloodily in "Let Me In". How about a different set of three words? Let me in. It could be a command or a plea. It could refer to a location or a relationship. In either case, it marks a beginning and in this case, in particular, it marks another entry into the catalogue of vampire horror movies. Marybeth (Danielle Harris) breaks it down for the latest victims in "Hatchet 2". It used to be there was a time when the Great American Horror Tale was “The Tell Tale Heart.” With the advent of moving pictures, one might point to “Frankenstein”. Later on, you could perhaps point to “Psycho” and maybe even “The Exorcist”. These days, some might say that the slasher film is the modern embodiment of the Great American Horror Tale. It’s like a moonlit walk down a familiar path – albeit a very isolated, very dangerous moonlit path – that takes us from the ordinary to the peak of terror and then finally, to release. This current formula is scarcely thirty years old and has become a cherished part of the horror vocabulary. Mostly, Hollywood is content to serve it up as is, but happily, every now and again, someone comes along who can take that recipe and kick it up a notch.